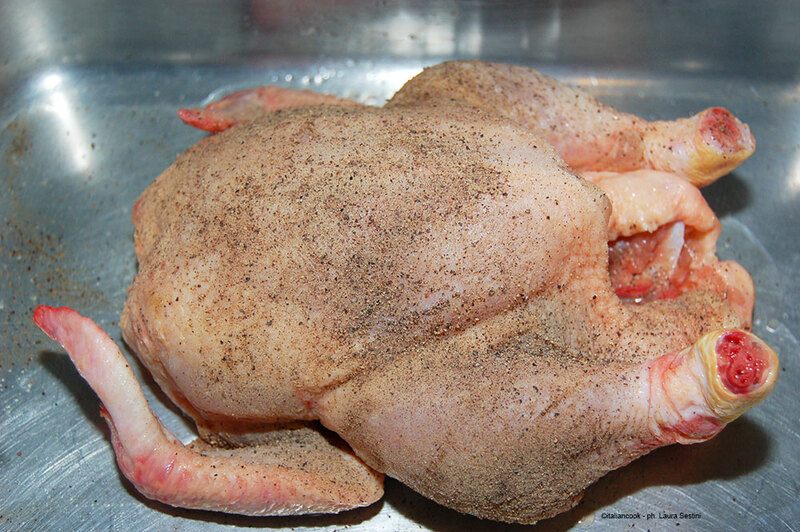 Grease with little vegetable oil a baking tray large enough. 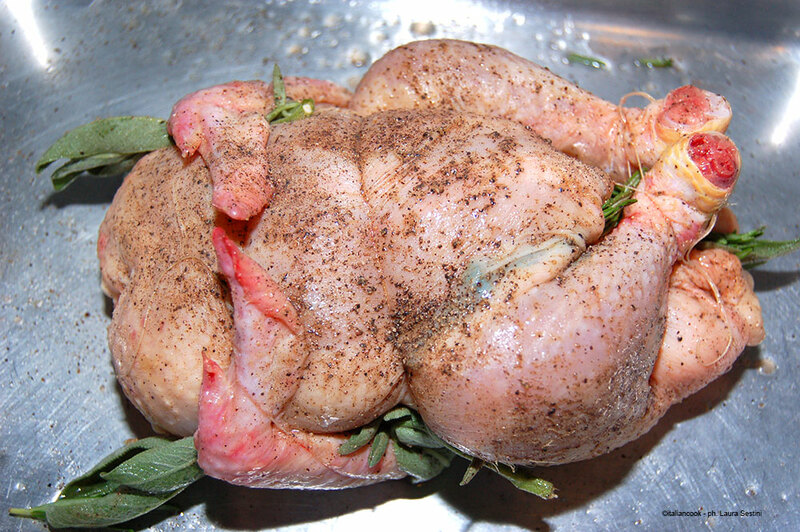 Spice the chicken with salt, pepper, sage and rosemary. 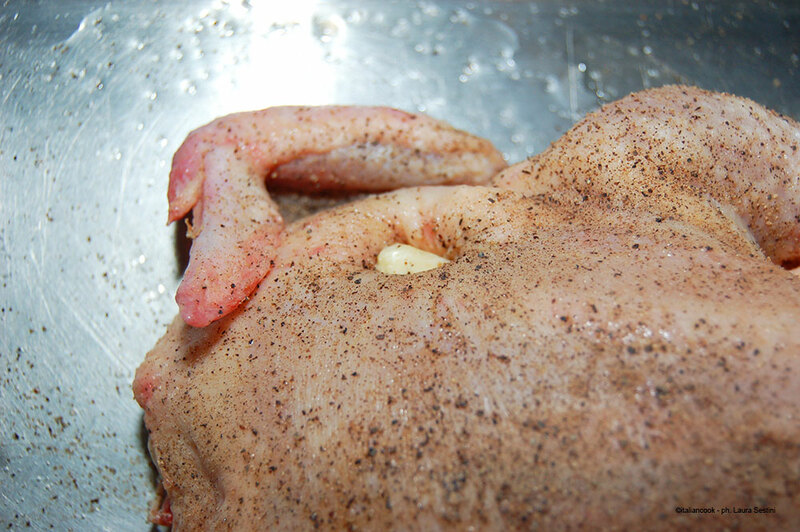 Pick small holes in the meat and insert a few cloves of garlic. 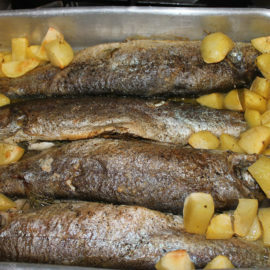 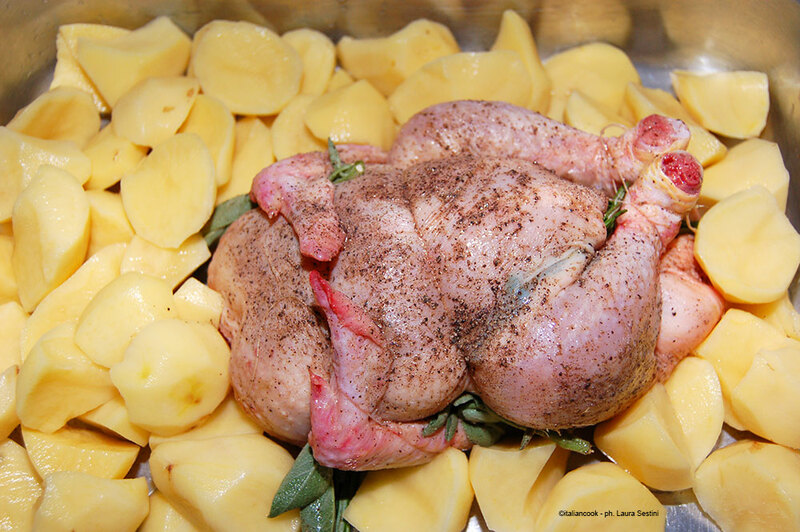 Peel the potatoes and cut into large pieces add them in to baking tray with the chicken. 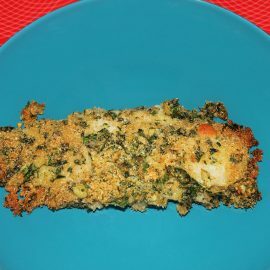 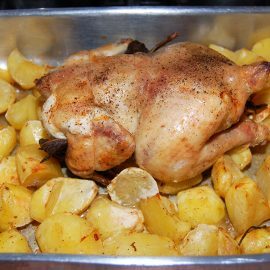 Add other vegetable oil and bake all for about an hour, turning every 20 minutes both the chicken and potatoes. It's possible to make this recipe deleting completely the vegetable oil. 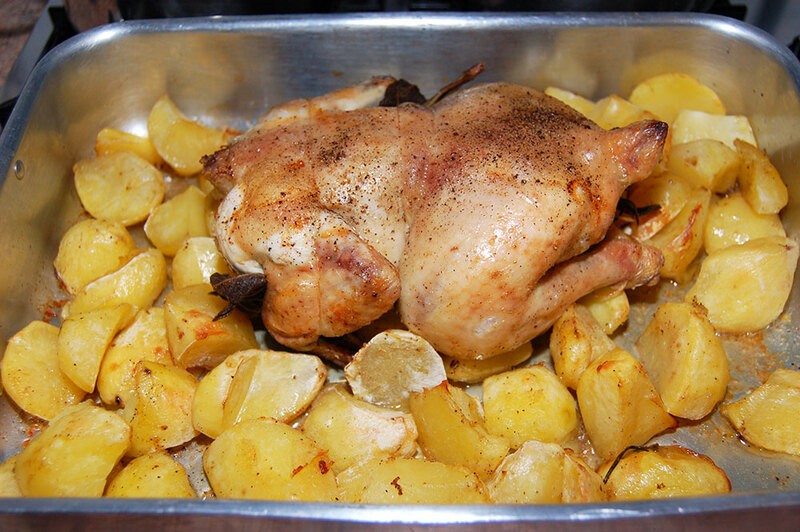 Obviously you can't eat the potatoes, but you can serve them at all the rest of family. 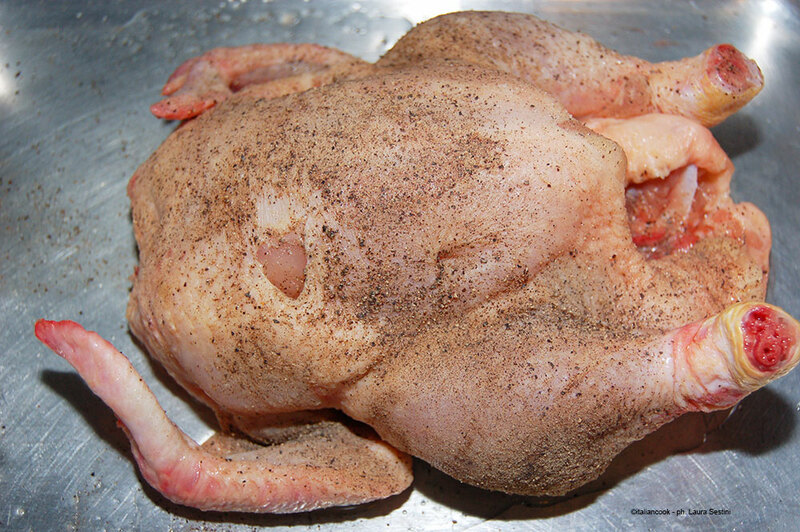 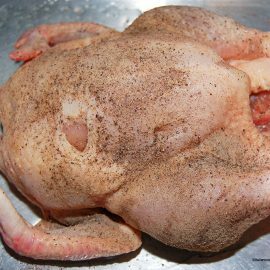 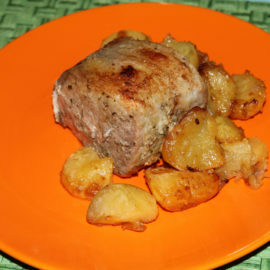 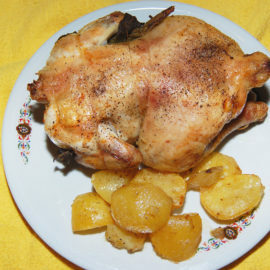 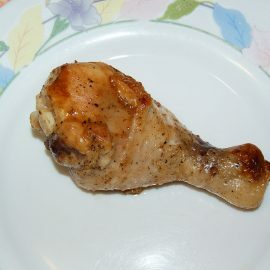 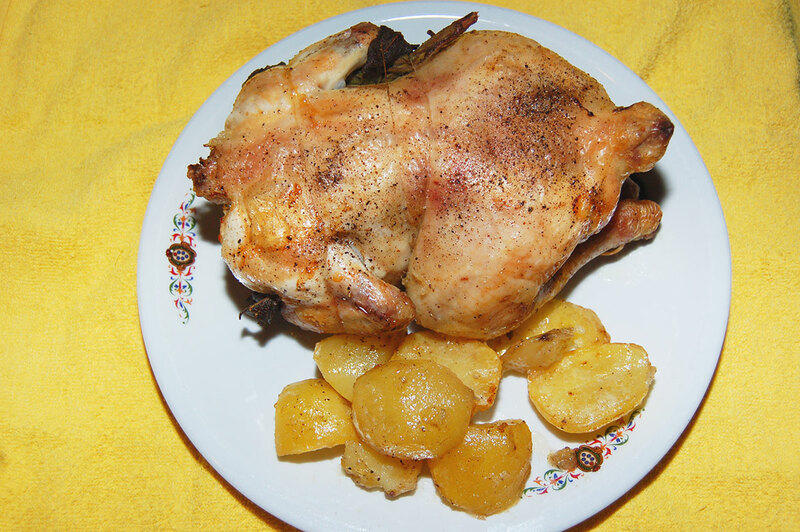 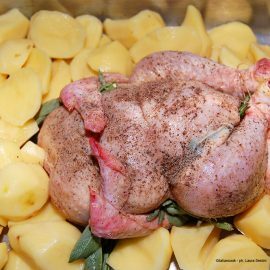 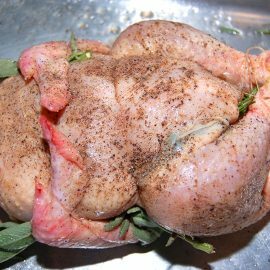 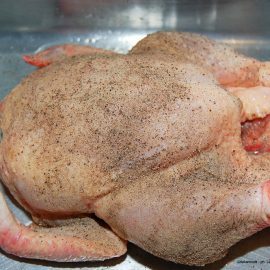 The fat naturally content inside the chicken it's enough to cook chicken and potatoes.